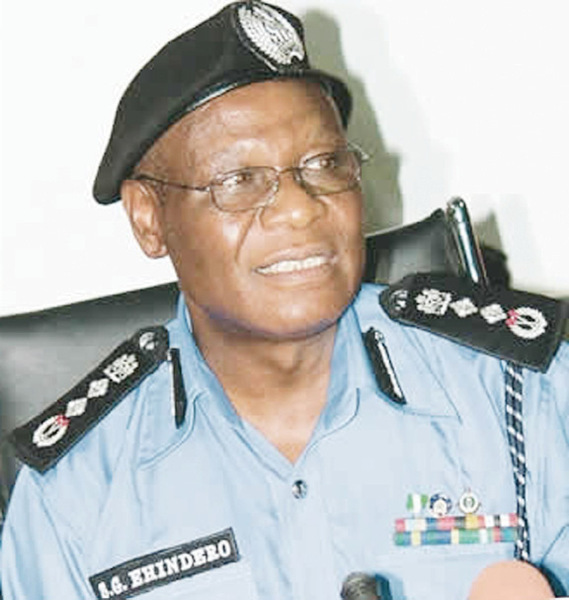 The Independent Corrupt Practices and Other Related Offences Commission (ICPC) says it is set to resume prosecution of former Inspector-General of Police (IGP), Mr Sunday Ehindero, for alleged N16 billion fraud. Spokesperson of the commission, Mrs Rasheedat Okoduwa, disclosed this in a statement in Abuja on Friday. Okoduwa said the case against Ehindero, who was IGP between 2005 and 2007, would continue at the FCT High Court in Abuja. The former police boss is facing trial for alleged criminal conversion of money belonging to the Ministry of Police Affairs into personal use while in office, according to the ICPC spokesperson. “This development followed a Supreme Court ruling dismissing the appeal filed by the former police chief, challenging the jurisdiction of the commission and the FCT high court to try him. “Ehindero and an accomplice had in 2012 been arraigned on a six-count charge of conspiracy to criminally convert public funds totaling N16,412,315.00. “The allegedly diverted funds were the interests generated from the sum of N557,995,065 police money he had placed in two fixed deposit accounts at Wema Bank Plc and Intercontinental Bank Plc. “The said money was donated by Bayelsa State Government to the force at the time to enable it purchase equipment for proper policing of the state,” she said. Okoduwa alleged that the principal sum donated was transferred to the Ministry of Police Affairs from the accounts without the interests earned. This, according to her, formed the crux of the allegations against the accused. She recalled that on June 6, 2012, Ehindero filed a preliminary objection asking the trial court to strike out the amended charges for want of jurisdiction and competence. He also prayed the court for an order restraining any official of the ICPC from prosecuting him, for not having constitutional power to do so among others. “In the reserved ruling delivered on Sept. 21, 2012, the trial judge dismissed the application in its entirety. “Thereafter, the former IGP proceeded to the Court of Appeal and again his appeal was dismissed. “Ehindero took the matter to the Supreme Court where he has been asked to face his trial. “The matter ought to have come up on Wednesday, April 11, 2018, for further mention, but the court did not sit”, Okoduwa said.